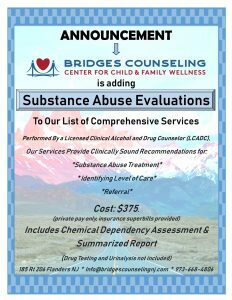 We offer professional, confidential, and evidence based psychotherapy services for adults, children, adolescents, families, and couples including strengths-based psychotherapy, marriage and family therapy, play therapy for children 3-11, cognitive behavioral (CBT) therapy, and Substance Abuse Counseling. 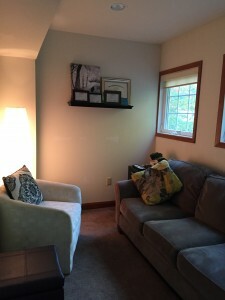 Our therapists use their expertise to address issues such as anxiety, depression, trauma, behavioral difficulties, parenting, relationship problems, grief and loss, divorce, family discord, life cycle changes, interpersonal conflict, personality disorders, and behavioral and social issues associated with spectrum disorders (ADD, Aspergers, Autism). Something to keep in mind about diagnosis is that a psychological condition can exist within the context of your life and therefore may not always stand alone. We take great care in performing a comprehensive evaluation of the client’s life circumstances to minimize the impact of diagnosis. We do not believe that a person seeking help should be defined solely by a diagnosis. Therapy alone or therapy in combination with brief interventions of medication will reduce the impact of most presenting issues thus reducing symptoms of psychological conditions.